Winter is loosening its grip, folks! We still have a foot of snow in our yard, but the sun is higher and stronger, the chickadees are giving their spring phoebe call, and best of all is what you see here: the sap is running! I wish I could say that this photo was taken on our property, but it wasn't. I took it across the bay, where our neighbor Brad Babson has a beautiful stand of sugar maples. He taps about 45 trees every spring, and his sister, who lives across town, taps another 11. Brad boils down the sap in the little sugarhouse he built, firing the evaporator with wood collected from his own property, and bottles the syrup in quart and pint jars. It's a small-scale operation—some commercial sugarmakers have as many as 60,000 taps—but it nets him enough to provide family and a few friends with maple syrup every Christmas. Last year was his best yield ever: 7 gallons. 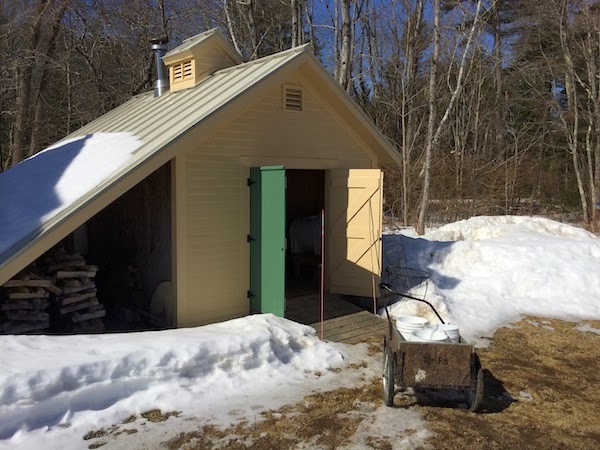 A typical sugaring season lasts about 6 weeks. The syrup made from the first run of sap is the lightest in color and is considered the "fancy" grade. As the sap continues to run, it picks up more minerals from the roots, and the syrup gets darker. 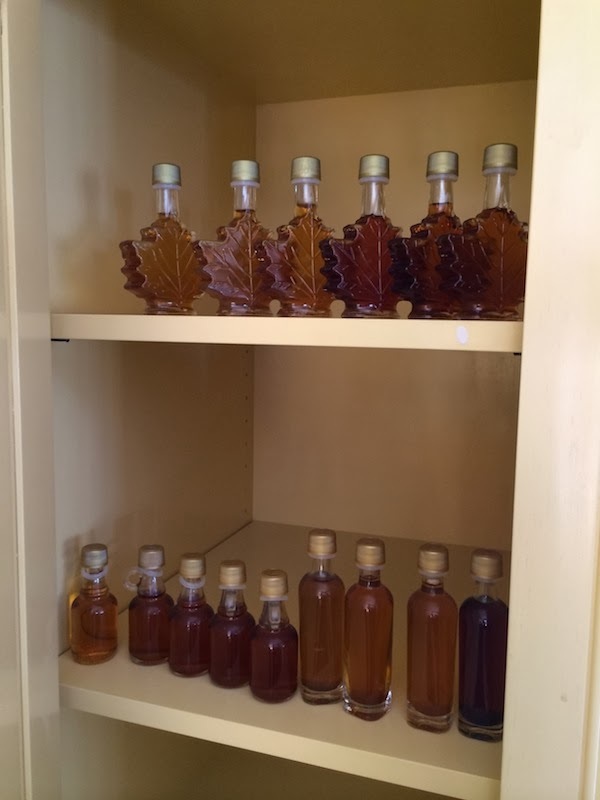 Every year Brad's wife sets aside a small bottle of syrup from each sap run; you can see the gradations in color in the photo below. Brad tapped his trees last Thursday—March 6—and hopes to be busy in his sugarhouse for at least another month. He'll have the coffee pot on too, and for lunch he'll be making maple-steamed hotdogs on top of the evaporator. Family and friends will join him, sitting outside the sugarhouse in the sun on warm days and huddling around the evaporator on chilly days. He loves the entire operation. "Sugaring is what makes March worthwhile," he says. 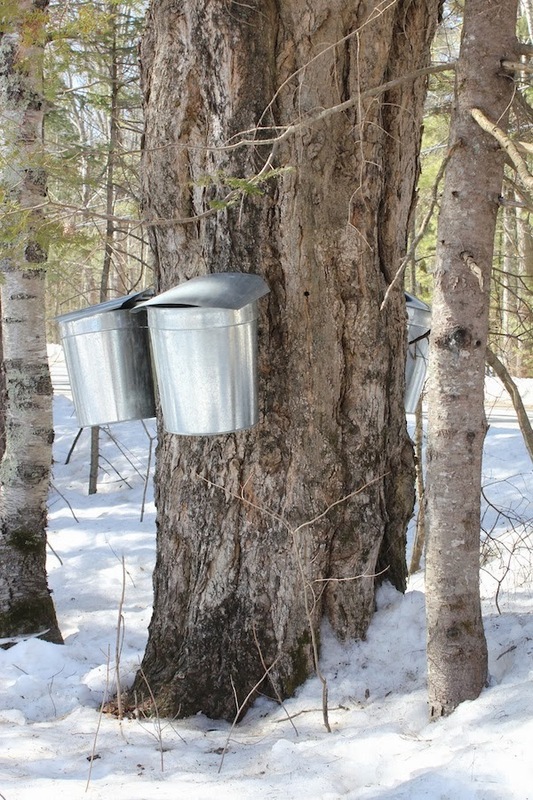 Sunday, March 23, will be Maine Maple Sunday. Sugarmakers will also be celebrating the season in Massachusetts, Vermont, and New Hampshire. 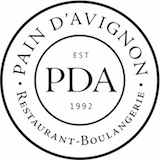 We plan to celebrate right here in our kitchen and at our dining room table. Oatmeal pancakes and homemade maple ice cream have long been two of our favorite ways to use maple syrup, and Anna recently turned us on to a great maple glaze for salmon. Really, when it comes to maple syrup, the possibilities are endless.